Richard Branemark, a Swedish surgeon was the first one, to try this new technique on human amputees. The system consists of different parts as seen in the image. 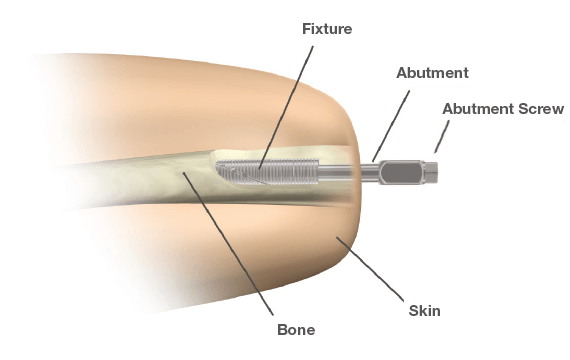 Because the implant is made out of titanium, it forms a strong bond with the adjacent bone tissue.